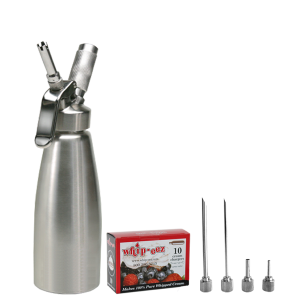 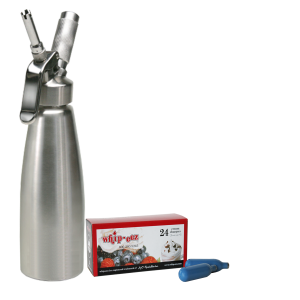 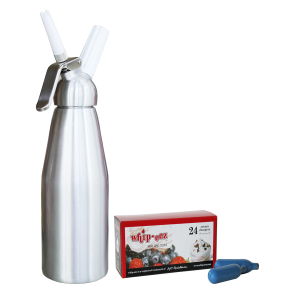 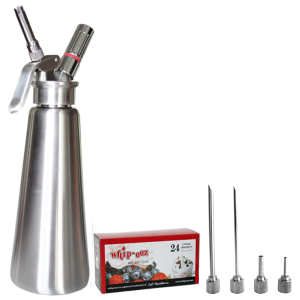 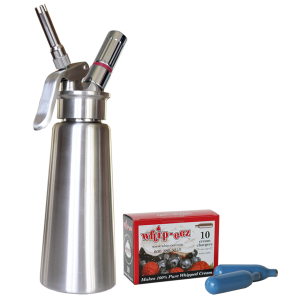 This all stainless steel Whip-eez 1/2 liter whipping siphon comes with a stainless steel charger holder, stainless steel pressure valve stick, cleaning brush and three (3) stainless steel decorating tips tip for making beautiful whipped cream. 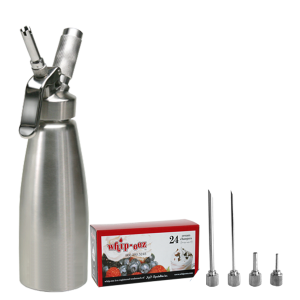 Total height of this dispenser is 10-1/4″ NOT including decorating tip. 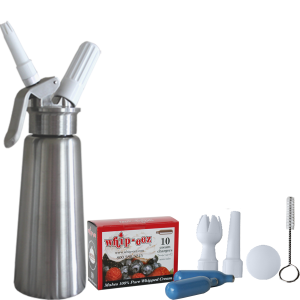 With this Whip-eez Stainless Steel Whipper you can prepare both cold and warm ingredients such as whipped cream, sauces, mousses and all those light and espuma (foam) delights. 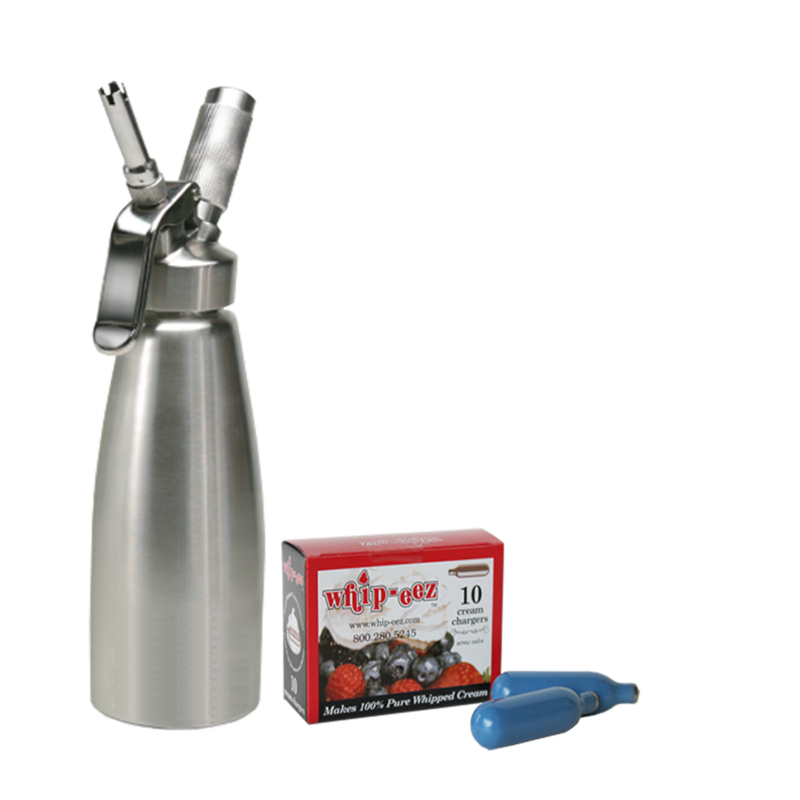 Whip-eez Cream Whippers are the best choice for the restaurant user and the serious home chef. 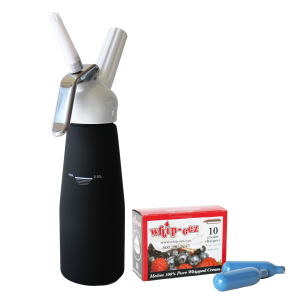 These products will not only save you precious preparation time, but also make cleaning much faster because all food handling parts of the Whip-eez Professional Cream Whipper head can be disassembled for individual cleaning.